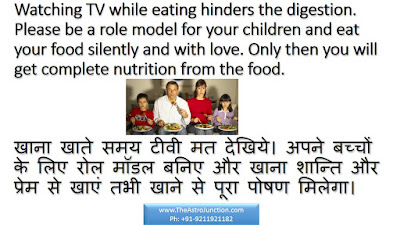 Watching TV while eating hinders the digestion process. 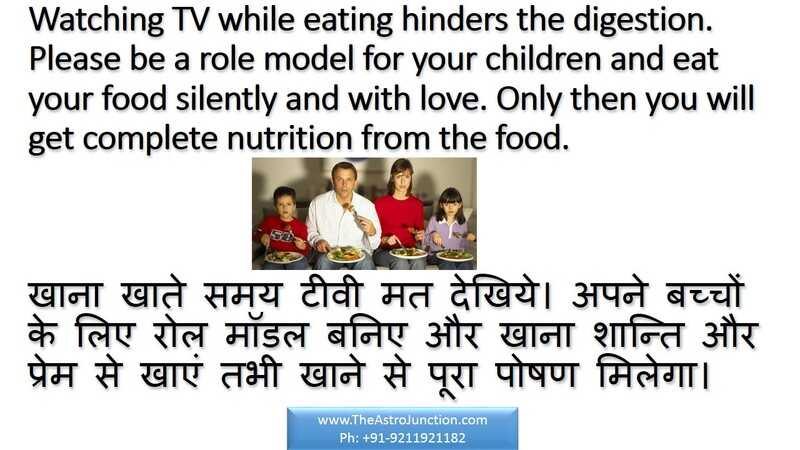 Please be a role model for your children and eat food silently and with love. Only then you will get complete nutrition from the food.